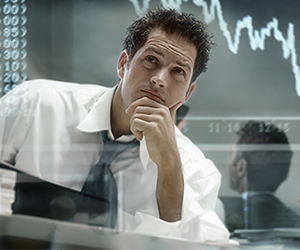 Trade Options | Find out how to trade Options successfully. You have probably heard all those “wow” stories of turning $150 dollars into $15 000 in a week, or $200 into $2 000 in 5 minutes. Traders may feel tempted to jump on the bandwagon and start pushing buttons. The issue with this is that “yes, you can get that lucky”, but luck doesn't last if you do not have a solid foundation for your options trading. So even if you score couple of hundred of percent profit once in a while, it doesn't mean that you are not going to loose even more on a whim. options are a highly volatile market and on every brokerage website you will read a disclaimer in small print at the bottom of the page warning you of the risks. So trading options successfully in the long run, you must not depend on an one-off lucky trade, but to build-up your strategy, portfolio, balance your trades and put emotions aside. Reading this advanced guide on "How to trade options successfully" you should already have some strategies you employ on a constant basis. And if you are successful with them then don't deviate one bit from the direction you took. Experiments and crazy trades can be done on paper or on demo account without risking your actual investment, if you are looking for ways to expand your experiences in trading options successfully. Trading portfolio is another key issue to consider. If you are to become a professional trader then you should have a list of assets you trade. This can include highly tradable currency pairs such as EUR/USD and USD/JPY, as well as some major commodities, stocks and indices such as Gold, Aapl and Dow Jones to diversify and safeguard your investments, as these are more predictable and generally less volatile assets. Some portion of your investing time should also be paid to exotic assets like USD/NZD, Tadawul and others. The major point is to stick with your choices and not wander headlong into uncharted territories. Balancing your trades is what preserves your finances. You should not depend on short term high margin trades, which can easily ruin your financial stability, but to invest up to 5% per trade. Do not create double trades on assets with the same underlying currency. If you place a buy on several currency pairs with EUR and the Euro grows weaker, you will loose the majority of your investment. So if you do several trades at a time, make sure they do not criss-cross. Finally, in this "How to trade options successfully" guide we would like to add that the thing that makes a truly great trader is an emotional “poker face”. By that I mean put your nerves aside. To become a pro you should have traded for quite some time, so initial excitement should have gone and you've been through a few ups and downs already. But if you still feel distressed when a trade goes wrong and you start making unwise “come back” trades because of it, you should pretty much stop and analyze your actions. Because if you cannot get hold of your emotions, no matter how good of a trader you are, it won't be possible for you to be profitable in the long run. To sum up this article on "How to trade options successfully", being a good and even great traders requires a lot of stamina. You will go through a lot of trial and error periods, and there will be some shortfalls along the way. But if you learn and practice hard enough, and with the help of educational materials we provide you can surely become a force to reckon in the options trading industry.